Note: This is the third time our gym has performed the classic CrossFit Girl “Gwen”. The workout “Grace” (30 Repetitions Clean and Jerk) and “Gwen” are cousins. In “Gwen” speed is not a factor, but weight is. Here are the rules: Touch and go at floor. Even a re-grip off the floor is a foul. No dropping the barbell at anytime, including the final repetition of the set. Use same load for each set. Rest up to 5:00 between sets. If you have a “foul” record the total number of consecutive repetitions achieved, then finish remaining set. Compare todays weight to September 8, 2015, and October 6, 2015. 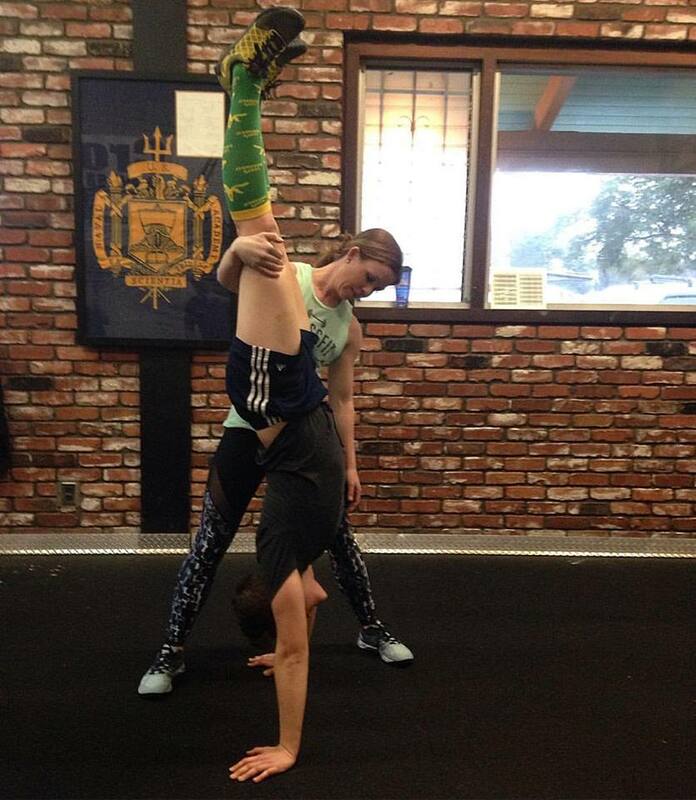 Nicki – Gym Handstand Champion!